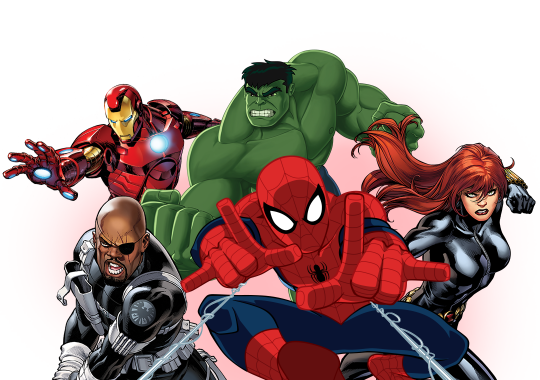 Over 50 professionally illustrated Color and Draw pages! 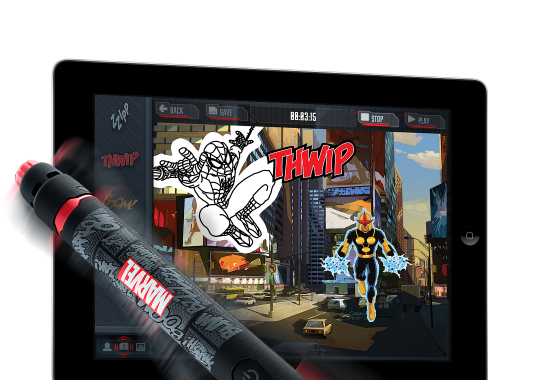 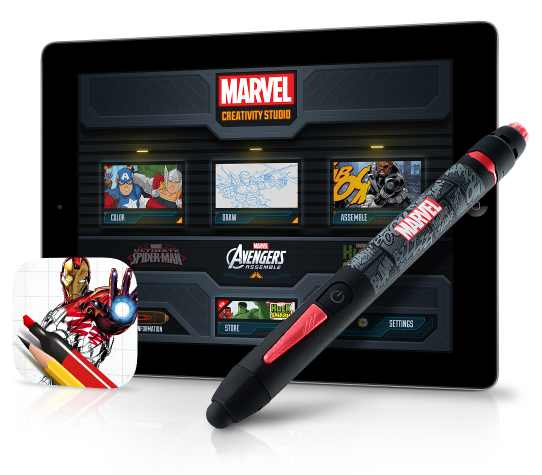 The stylus gives you unlimited access to all current AND future characters! 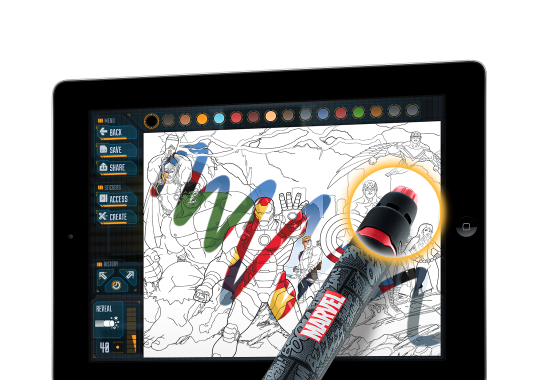 colors add flare to your creations! 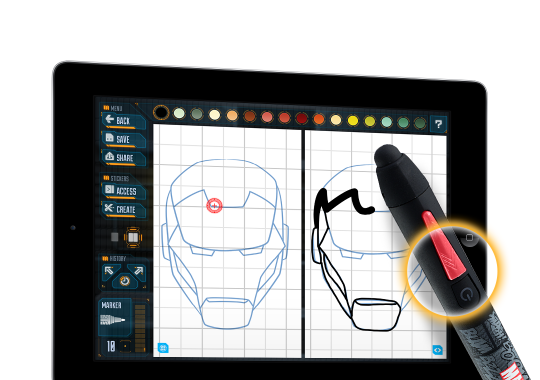 drawing tool with a click!